Even when you think your living space has reached its peak, there are always tweaks to be made. In this era of social-media-fueled self-empowerment, more and more folks are taking to the internet to learn about DIY home improvement. After all, why hire an expensive contractor when all you need is a web browser and some spare time? Here are 5 ways to improve your home on a day off. Nothing says “this room is boring” like a lack of living things. While it might be a bit much to assemble your own aquarium, putting together something that exhibits some plant life can improve almost any room. Whether you concoct your own terrarium or construct your own hanging planter, adding a splash of foliage is sure to make your space more vibrant. Plus, having a little in-home oxygen engine will help the air feel fresher. Cords and cables seem to have a vine-like life of their own, twisting and tangling like ivy over an Italian portico. Unfortunately, they lack the aesthetic appeal of actual ivy, meaning that you should remove them from sight as soon as possible. There are many ways to do this: you can stuff them inside a shower curtain rod; you can buy/make a concealing baseboard moulding; or you can even arrange the cords to create a piece of art! However you decide to handle it, eliminating wayward cables will work wonders on your space. Turn Your Windows into “Win”-dows! How you decorate your windows does a lot to define your space. You can basket-weave your drapes, spice up the window with some corner brackets, or even paint a minimalistic landscape right on the window pane! Whatever you do, make sure your decorations match the aesthetics of your home — don’t frame your Victorian-style windows with bamboo slats, and don’t dilute your cabana’s chill vibes with drapes of scarlet velvet. Simple wall improvements will slow your houseguests to a crawl (in wonderment, of course)! 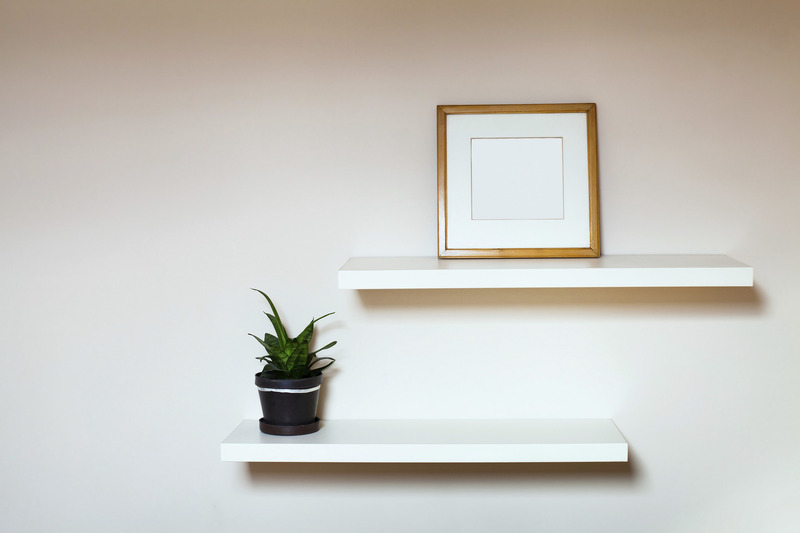 While it’s important not to oversaturate your wall decorations, you don’t want plain surfaces. And while tapestries and paintings make nice touches, sometimes you can’t find the right one to meet your home’s mood. If that’s the case, make use of your printer to create impromptu posters of whatever you’d like! If you want something more professional, you can take your business to a nearby print store, or utilize an artist-centric service like Society 6 to make anything from coffee mugs to throw pillows. And don’t forget about shelves! There are a ton of different types you can make with time and a spot of money. There aren’t many walls you can’t improve with art and storage. And there you have it — four tips anyone can take advantage of. And while West Broad’s residences are already in pristine shape, there’s no reason you can’t use these methods of DIY home improvement to mold the space to your preferences. Interested in touching up your very own luxury apartment in Falls Church? Get in touch with us today to make it a reality.